Who said margaritas had to be just about lime? This one’s made with lemon. And what goes with lemon? Basil! We added it. It’s good. My neighbor has an insane amount of basil growing in her backyard and she said I can go snag some whenever I want. I wanted. So I went. And I got. And then I made a drink. And I drank. 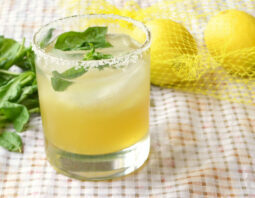 It’s was a Lemon and Basil Margarita. 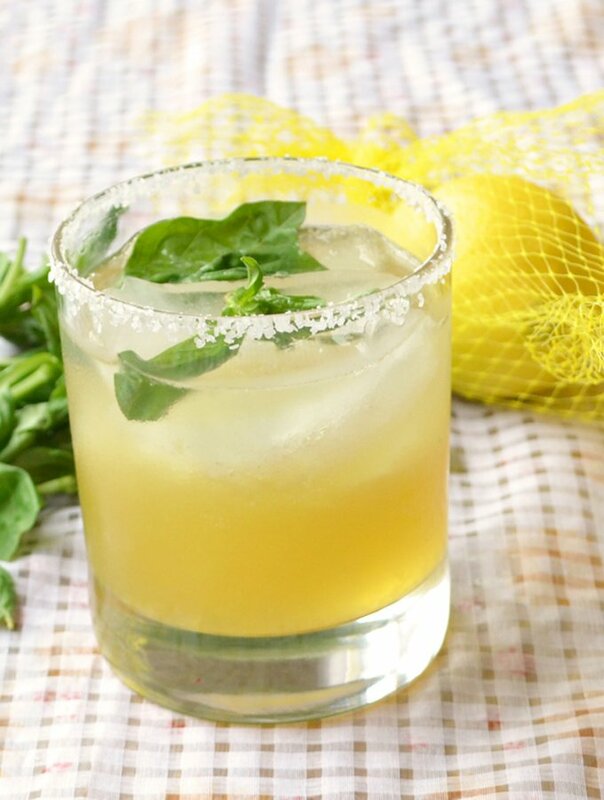 We all already know that lemon and basil go together. That’s a given. And citrus and tequila? Duh. Mix the three, add a bit of sweetness and a rim of salt, you’re golden. Put the salt on a plate and use it to rim a highball or margarita glass. (Not sure how to rim a glass? Find out here). Into a bowl, squeeze all the juice out of the remainder of the lemon. Measure 1 ounce of juice into a cocktail shaker. Use your fingers to tear 6 of the basil leaves into the shaker. Add the simple syrup. Muddle everything around for at least a minute. Go on and pummel and bruise the basil leaves, really extracting all their flavor. Add the tequila and stir it around a bit. Add 1 cup of ice. Put the lid on the shake it. Sh-sh-shake it. Fill the salt-rimmed glass with ice. Tear in the remaining two basil leaves. Strain the tequila mixture over top of the basil and ice.